Vasyl Lomachenko vs. The Super Featherweight’s Golden Era – Because Why Not? I might be a little slow on this one, but it’s taken me two weeks of Youtube and instant replays to fully grasp the totality of Vasyl Lomachenko victory over a man formerly considered a pound-for-pound entrant. Sure, Guillermo Rigondeaux came in with a size disadvantage. That became painfully obvious at the weigh-in. And sure, Rigondeaux was old for his profession and suffered long period of inactivity to boot – the late 30s are perilous for fighters other than Bernard Hopkins or a Klitschko brother. But few can doubt that Lomachenko threw on a defining performance, the kind that makes you wonder at the limits of a fighter’s potential. Floyd Mayweather had his breakthrough fight against Diego Corrales in 2001. Andrew Ward had his defining fight against Chad Dawson in 2012. Much like the Rigondeaux fight, you could argue that those other two were “tainted” somewhat. Both losers in those respective bouts had weight issues of their own, much as Rigo did. But no one can deny – those victories signaled dominance to come, and made us wonder who – if anyone – could pose even a slight challenge to the winner. With the Rigo victory, Lomachenko can be said to have “cleaned” out his division. I disagree – between featherweight and super-feather exist numerous challenges. But my mind keeps fading back to what can be seen as a Golden Age for the 130-pound division. Flash back to 2004, and Marco Antonio Barrera had just beaten the still-lethal Erik Morales for the WBC super-featherweight title. Manny Pacquiao and Juan Manuel Marquez circled each other at featherweight – both had yet to make their very successful 130-pounds debuts, but both were (obviously) totally capable. There you have it – Barrera. Morales. Pacquiao. Marquez. Rarely have so many of the Top Ten pound-for-pound been concentrated in a single division. One might argue than none of the above four had the raw athletic talent of Rigo. But no one can argue this – all four were way younger than Rigo, and far more battle-tested against the sport’s elite. Would it have made a difference? 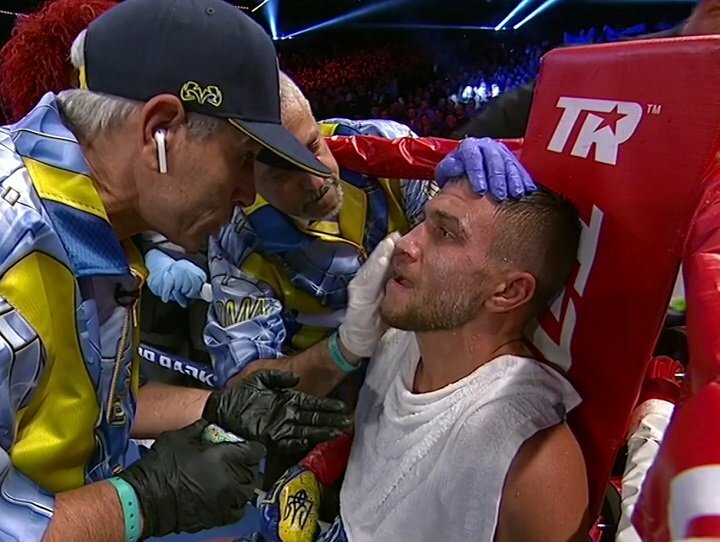 Could they have stopped Lomachenko? Open question, but an interesting one. For what it’s worth, I don’t see any of those four handling Lomachenko with ease, if they could handle him at all. But I do know you’d hard a hard time finding a single boxing fan who wouldn’t give a pinkie finger to see Lomachenko in any of those four match-ups. Come to think of it – those four ruled the division 13 years ago. Let’s go back 20 and have Lomachenko face the division’s best in that decade. Lomachenko versus a 1997 Mayweather: Why the hell not? You are here: Home / Boxing News / Vasyl Lomachenko vs. The Super Featherweight’s Golden Era – Because Why Not?